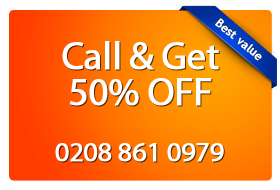 Magic Carpet Cleaning in West Ham E15 offers a wide spectrum of cleaning services for your home or office. We use the latest techniques and equipment and along with our experience, we are one of the leading carpet cleaning companies in West Ham. Our team of carpet cleaners in West Ham E15) consist of highly trained individuals who are available to provide you with dry & steam carpet cleaning treatments depending on the fabric and condition of your textile floor. We strive to offer the highest quality services at the best possible prices. We pride ourselves of having a 95% customer satisfaction rate and want to build a trusting relationship with our customers. All of our products are chemical free and eco-friendly which will help to prolong your carpets lifetime and create a healthy and 100% germ-free environment for you. Contact our West Ham carpet cleaners for further enquiries regarding our services!